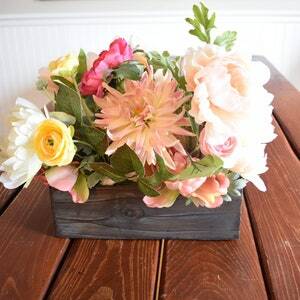 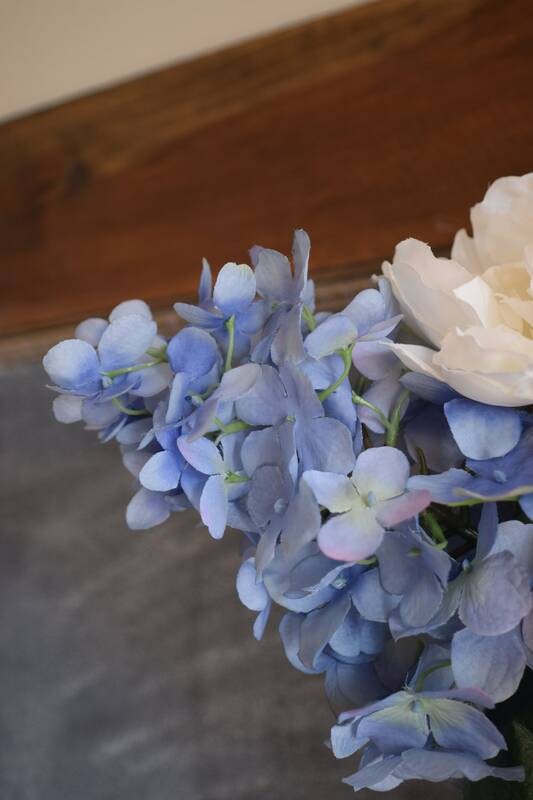 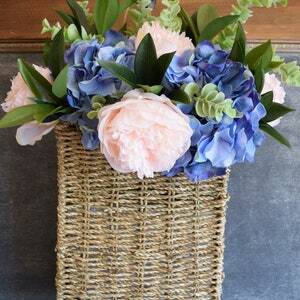 Approximately 24” from top of florals to bottom of basket. 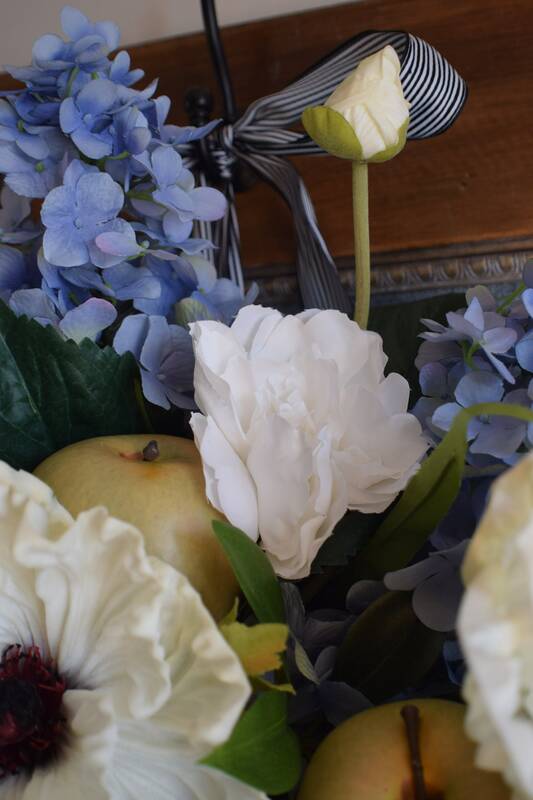 Adjustable ribbon. 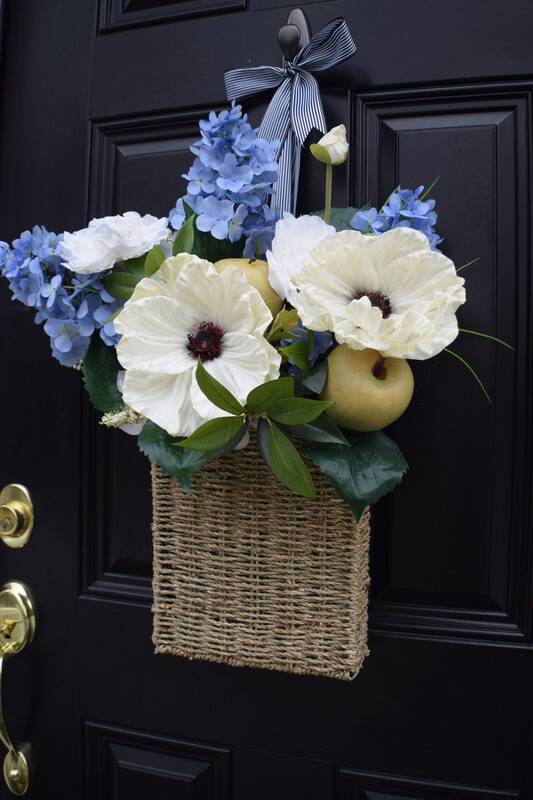 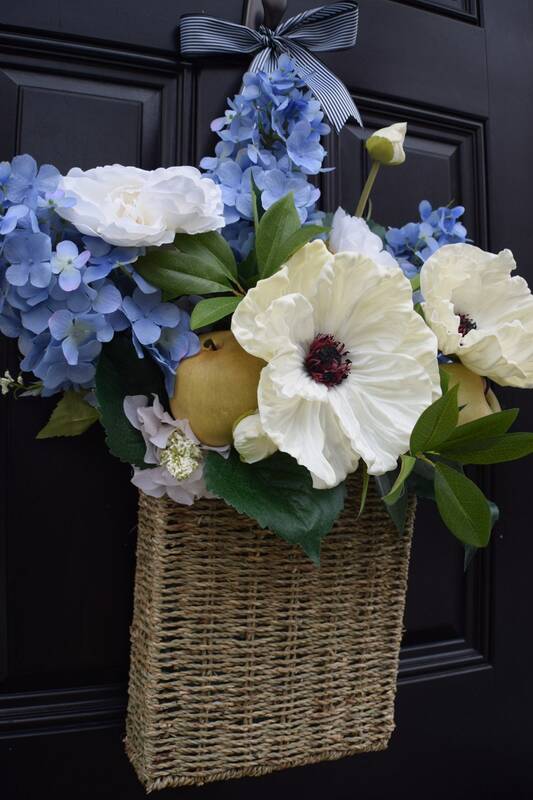 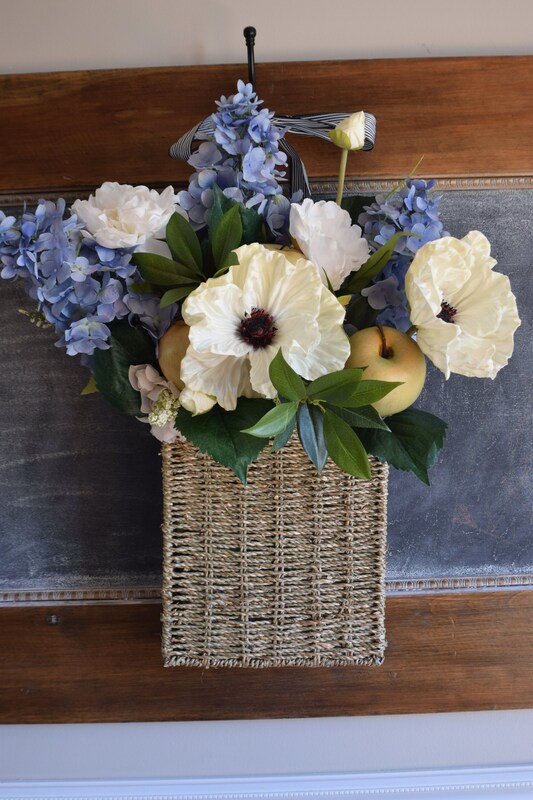 This woven seagrass basket holds jumbo Poppies, pale blue Lilacs, white Peonies and Granny Smith Apples, and finished off with a black and white striped ribbon to hang. 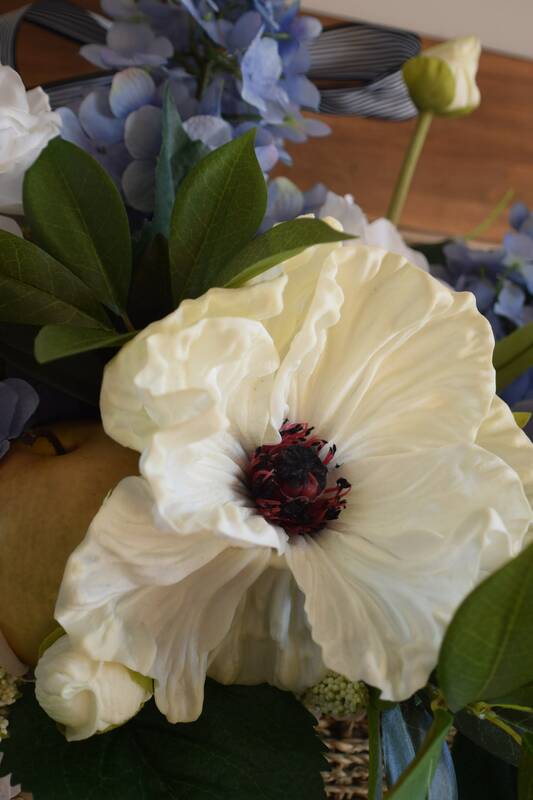 Very realistic looking, but will last forever! 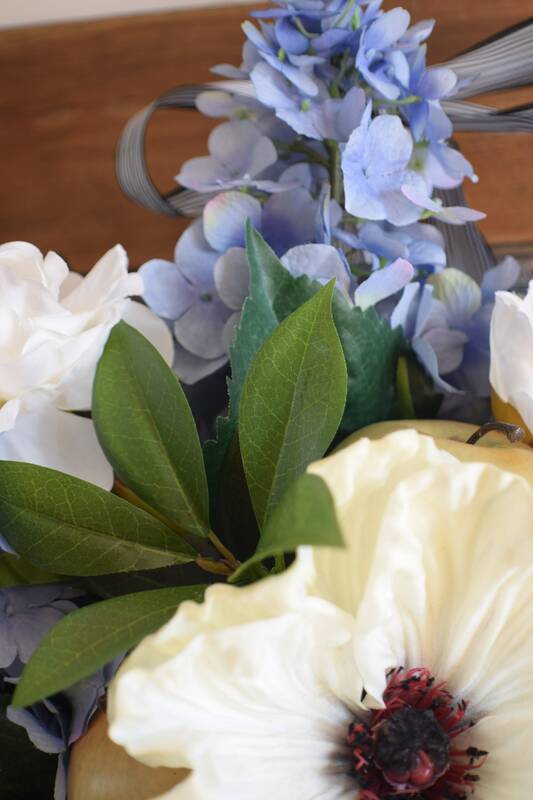 My wreaths are made using an 18" grapevine wreath frame, and when finished measure approximately 22" from tip to tip of greenery. 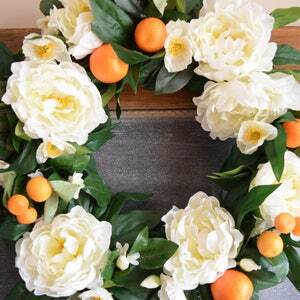 Are your wreaths made with artificial materials? 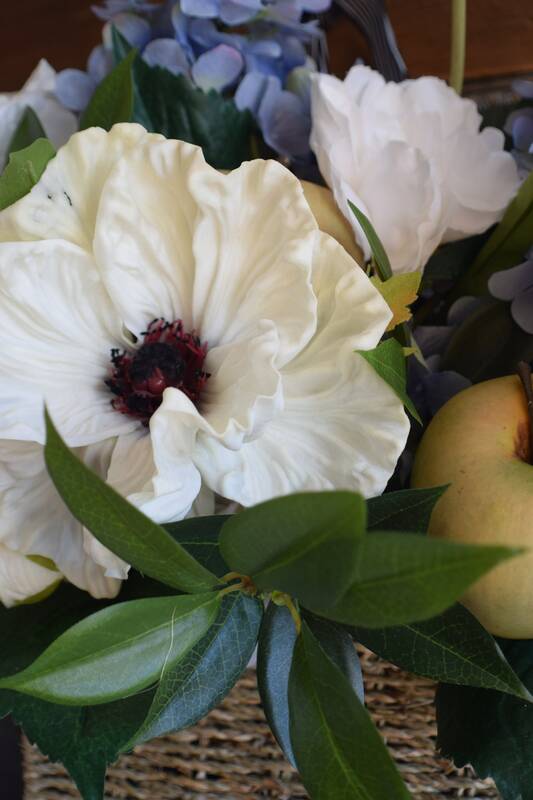 Yes, all my wreaths are made with faux fruit, florals and greenery. 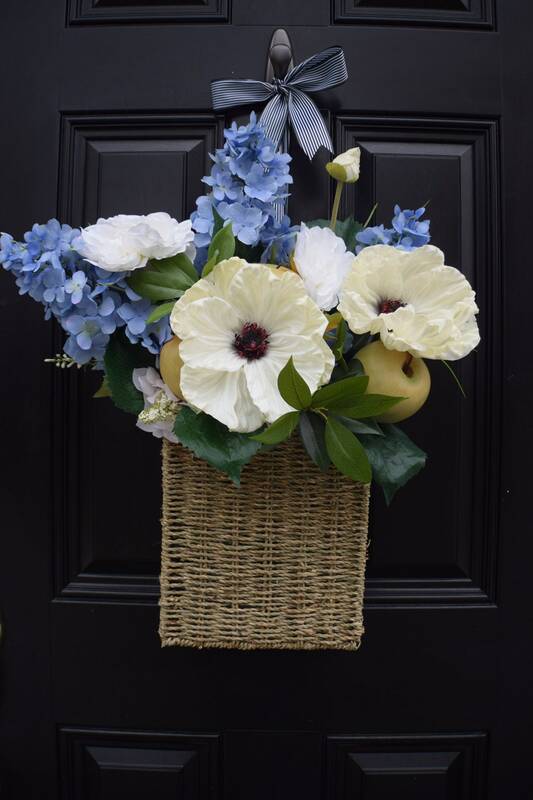 Are your wreaths safe for outdoor use? 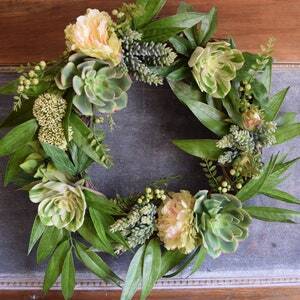 Absolutely, my wreaths are made using materials designed for outdoor use.